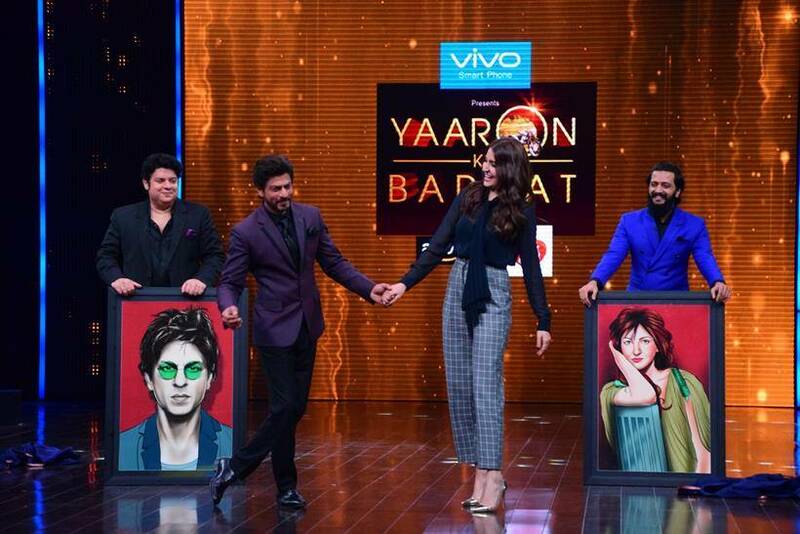 Superstar Shah Rukh Khan and his co-star of three films, Anushka Sharma, will be seen talking about their friendship on an upcoming episode of celebrity chat show Yaaron Ki Baraat. Hosted by director Sajid Khan and actor Riteish Deshmukh, the show welcomes different Bollywood personalities along with their friends every weekend. Sajid took to Twitter to share a photo of himself with Shah Rukh, Anushka and Riteish. "Surprise!!! Thanks to our yaars @iamsrk @AnushkaSharma we had a rollicking shoot😊😊😊 #yaaronkibaraat with @Riteishd and urs truly...," the filmmaker tweeted. SRK and Anushka's equation goes back a long way. They first starred together in 2008 romantic film Rab Ne Bana Di Jodi, which was Anushka's debut. They later reunited for late Yash Chopra's romance Jab Tak Hai Jaan, in 2012. The duo is currently shooting for director Imtiaz Ali's light-hearted love story, which has been tentatively titled The Ring. The actors, who share a great onscreen chemistry, have always spoken highly of each other in public but it's not known how good friends are they in real life. SRK and Anushka were constantly updating pictures during shooting of The Ring all across Europe. Recently, Anushka said that due to the respect she has for Shah Rukh, he can't be her 'back-slapping' buddy like her other co-stars, who are of her age. So, it will be interesting to see her and Shah Rukh's camaraderie on the show. 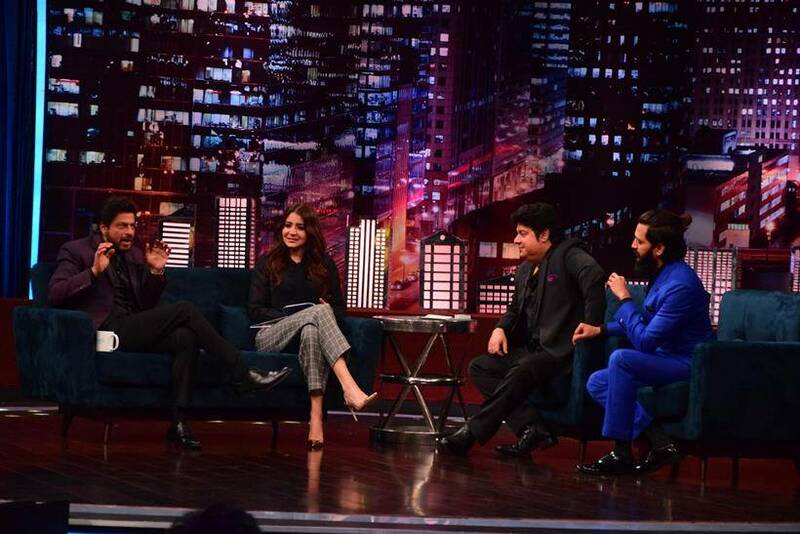 Earlier stars like Amitabh Bachchan-Shatrughan Sinha, Sanjay Dutt-Ajay Devgn-Abhishek Bachchan and Parineeti Chopra-Sania Mirza have appeared on the show.